As Silicon Valley thought leader Steve Blank presented the Lean approach at OCE Discovery 2014, Steve’s colleague, Eric Ries, was our author of choice at this month’s MaRS Startup Book Club. We took shelter from the damp weather outside to discuss Ries’ book, The Lean Startup. One topic that came up was the nature of a Minimum Viable Product (MVP), which is a critical component of the Lean Startup methodology. The Lean methodology has us working backward from a hypothesis about the needs of the customer to a solution that will meet those needs, as opposed to working forward from a pre-conceived product to a product offering. The MVP is a tool to help us work backward. How much is “minimum” in a Minimum Viable Product? That depends on our target market. It must be enough to test hypotheses about the needs of our target market and their buying behaviour. For example, would customers be willing to buy shoes online? Nick Swinmurn, of Zappos, built a website to test this. The test wasn’t about the shoes—for this MVP, he only had pictures of the shoes and would buy them retail to fulfill any demand—it was about the customer interacting with the website. The book describes how the test proved Swinmurn’s target market would indeed buy shoes online. From there, he could test multiple ways in which he could tweak the website to sell even more shoes. 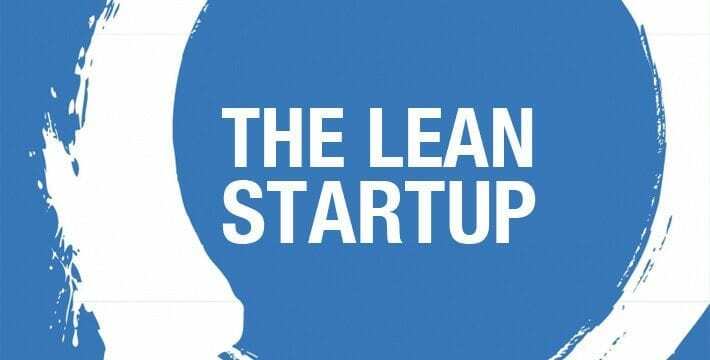 The Lean Startup methodology, which is derived from manufacturing engineering, is applied differently in the context of this case, and is occasionally therefore misunderstood. Nevertheless, we all felt that the book’s title was suitable. On the last topic, the book points to several Lean communities, including those at theleanstartup.com. From there, we are only a few clicks away from meeting up with Leanists on a regular basis at both Lean Startup Toronto and Lean Coffee Toronto (#LeanCoffeeTO). One thing I learned was how quickly an hour passes when in the company of keen and like-minded book-readers! A shout-out to all of the attendees for their contributions to our lively discussion. Join us at our next Startup Book Club event, on June 17, where we’ll discuss The End of Competitive Advantage: How to keep your strategy moving as fast as your business.